SALMON MIGRATION RESEARCH. 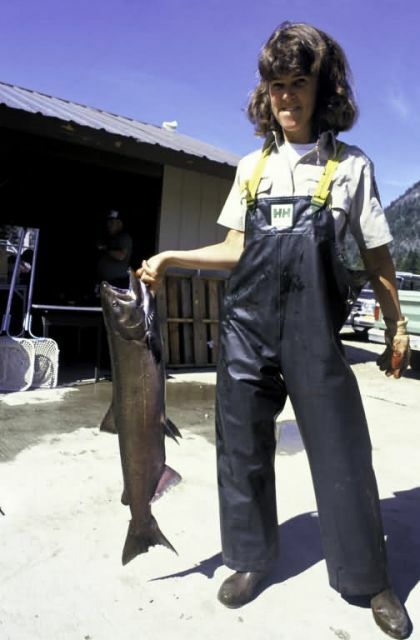 A fisheries biologist at Leavenworth National Fish Hatchery in Washington displays a mature spring chinook salmon which has migrated upstream to spawn. The Service operates 12 National Fish Hatcheries in Washington which raise several species of salmon and steelhead trout. Populations of these valuable fish species have been adversely affected by hydroelectric power generation, habitat loss, overfishing, and water pollution .